In 1986, when this autobiography opens, the author is a typical fourteen-year-old boy in Asyut in Upper Egypt. Attracted at first by the image of a radical Islamist group as "strong Muslims," his involvement develops until he finds himself deeply committed to its beliefs and implicated in its activities. This ends when, as he leaves the university following a demonstration, he is arrested. Prison, a return to life on the outside, and attending Cairo University all lead to Khaled al-Berry's eventual alienation from radical Islam. This book opens a window onto the mind of an extremist who turns out to be disarmingly like many other clever adolescents, and bears witness to a history with whose reverberations we continue to live. It also serves as an intelligent and critical guide for the reader to the movement's unfamiliar debates and preoccupations, motives and intentions. 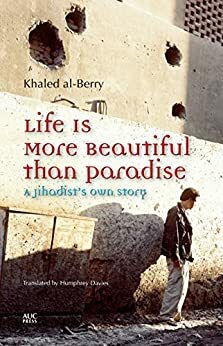 Fluently written, intellectually gripping, exciting, and often funny, Life Is More Beautiful than Paradise provides a vital key to the understanding of a world that is both a source of fear and a magnet of curiosity for the west.